Today’s consumer is technology-savvy and likely to use the Internet to search for products or services. As a business, an online presence is more important than ever in the quest to snag customers ahead of the competition. In building your online presence, there are many elements to consider. 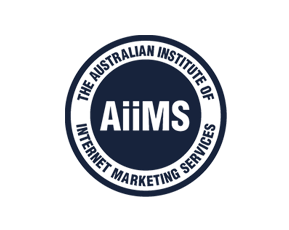 A website will be the most obvious component, but many other facets will make up a powerful Internet strategy. With the right SEO company hard at work for your organisation, it’s possible to rise to the top of search engines and attract potential customers with ease. Once you’ve established your business presence online, you will enjoy increased revenue and much success. What Role Does a Facebook Page For Business Play? Social media networks are a constant part of the lives of consumers worldwide. The ability to connect with friends around the globe has made Facebook, Twitter, and other networks essential. Facebook for business plays an integral role in making your mark online. Building a page is free, which allows you to make the most of your advertising dollars. This simple and free advertising tool is one of the most important parts of any online presence. Small and large businesses alike must make use of this important marketing tool in order to rise to the top of any market. Consider the many reasons your business must include an online presence in any ongoing business strategy. Facebook for business is a must for start-ups and existing businesses alike. Hiring professionals to handle all aspects of your Internet marketing strategy will help you make the most of your advertising budget. At Smart SEO, you’ll have access to experts in Facebook for business as well as a plethora of other essential marketing initiatives. Once your social media presence has been established, it can easily be maintained through frequent updates and online specials. Facebook for business makes it easy to link your business blog, website, and other elements to draw in even more traffic. When you’re in search of a company that can tackle all areas of your online presence, consider the leading Smart Agency, Smart SEO. Are you ready to set yourself apart from the competition? 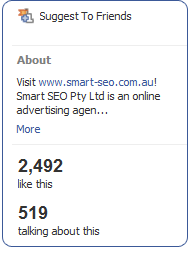 Contact the Smart SEO team today! With optimisation experts to assist with Web Design, SEO, Branding, Google, Facebook, Blog Management, and more, you are sure to find the business solutions you need at Smart SEO. Connect with your target market with ease with Smart SEO hard at work for your organisation. To get started, contact the team at 1300 641 849.